Küche7 is a Stainless Steel Modular Kitchen Company having clients globally in cities of Dubai, London, Riyadh, and India. 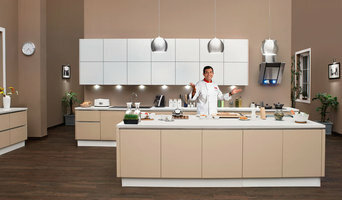 Küche7 has changed the story of imagining the kitchen with innovation, competency and creativity. 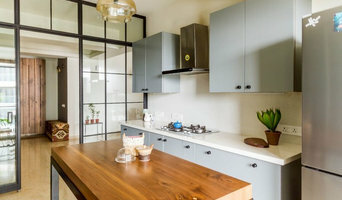 Our Passion of designing exceptional kitchens and desire to divulge revolutionary change in modular kitchens in India, made us ponder to transform the kitchen into something unique where moments create memories. Küche7 kitchens are seasoned with desired quality, functionality and modernism because we understand the science of styling kitchen. We are happy to inform you that we are opening a very new show room to showcase the very latest trends of ceramic tile in India. Our show room address is Dorigres ceramics (c/o Bharti & company) shop no. 1& 2, 308 Narotam Niwas, Jawaji Dadaji Road, Nana Chowk, Grant Road, Mumbai 400007. 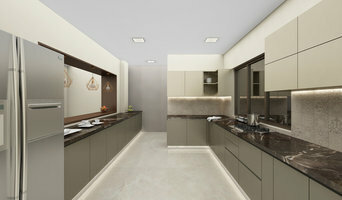 Why do I need a professional who specializes in kitchen and bathroom renovation and design in Mumbai? While looking for Mumbai bathroom remodeling contractors or kitchen renovation experts you may often find professionals who specialize in both rooms. This is because these space have a lot in common. Kitchens and bathrooms include an abundance of fixtures that require careful planning and installation, including sinks, faucets, tubs and toilets that all need water hookups and drainage. They also use similar materials, such as tile and stone for countertops and flooring, due to the nature of their use. So it makes sense that professionals who works on the kitchen remodel and design also works on the bathroom construction or redesign. 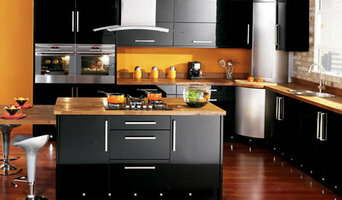 What do Mumbai kitchen designers or bathroom remodel professionals do? Bathroom designers, as well as kitchen designers in Mumbai, are constantly staying on top of trends in the ever-changing industry. The designers know the best layout for your room, and can configure the layout for optimal functionality and utilization of the space. In the kitchen, the refrigerator, stove, and sink should be laid out in relation to one another, and it should be seamless and easy to move from one to the other. 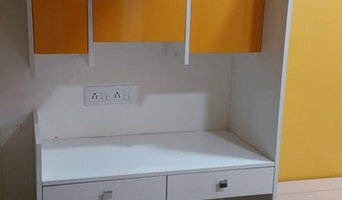 A kitchen and bathroom designer in Mumbai will know how to work with a contractor and architect to plan the flow of the room to work best for your needs. Most bath & kitchen renovations involve architectural plans from page to reality; these contractors are also trained to provide design services so that you don’t have to hire a separate pro. Like a general contractor, a Mumbai kitchen and bathroom remodeling contractor is responsible for hiring and supervising subcontractors and providing materials when necessary. Find a bathroom and kitchen designers and renovator on Houzz. Narrow your search in the Find Pros section of the website to bathroom and kitchen designers in Mumbai. You may also look through photos of spaces to find kitchens or bathrooms you like, then contact the bathroom or kitchen designer who worked on it.